Why are the storylines of K-Dramas getting weirder through the years? The title Goblin makes me doubt the plot. With Kim Eun Sook as the writer, I have a feeling that Goblin will be a potential hit despite its peculiar aspects. @ebullient After you watch daily's for so long you kind of appreciate weird..
Who will be Gong Yoo's leading lady in 'Goblin'? We can have a survey also ! Looking how kim eun sook writer cast the lead, i think she will not choose an ordinary actresses. So, she will choose the big one. . Top list actresses, and potential to be loved. i will list the potential actress since this actress will be the grim reaper, so they must be cast the character little bit manly, not feminime. Since lots of big star already make come back this year. So its little bit impossible to them come back in the same years. i watch her previous project seems like the writer always matched the main lead face.. So it possible she will cast actress who resemble with gong yoo. Its seems impossible for new actress, since her previous project always casting top star, or someones who debut for a long time.. I would add Kim Hyun Joo and Gong Hyo Jin too. My vote for the current list would go to Yoon Eun Hye. My gosh, that would make an OTP comeback after almost a decade, since Coffee Prince. That would be awesome! 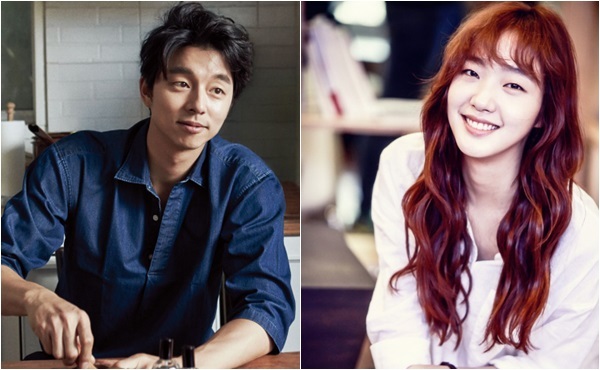 For Gong Hyo Jin with Gong Yoo, it would be a 12-year long comeback since Biscuit Teacher and Star Candy. For Gong Hyo Jin, it would be a 12-year long comeback since Biscuit Teacher and Star Candy. But gong hyo jin already joint drama with joo jeong sook, i forgot the tittle. But theirs drama will airing arround august on sbs channel. I wish gong hyo jin tooo !!! But YEH also good choice..Since YEH really popular ! GY-GHJ would be a dream come true pairing,already miss her quirkiness in comedies,as it has been a long time since she acted in a conventional romantic comedy lol. Though she's doing reincarnation jealousy or something like that,but she was so good in biscuit teacher and star candy, so it would be interesting to see how they would bring out their acting excellence after a decade,[if they do act together,that is]. But yeah, as I said I am hoping for too much..apart from her, kim hyun joo is also someone who can act on par with gong yoo, and after so many casting mishaps this year [for instance, let's fight ghost =/ ] let's hope we would get something good this time,so surprise us drama gods. Why am i have feeling that the leading lady will be Kim ha neul or Kim tae hee ??? submitted.... as YEH fans I really support her drama comeback and with KES it will be worth the wait. Actress Kim Go Eun confirms that she is looking over the lead female role in Kim Eun Sook’s upcoming drama, “Goblin” (working title), to star alongside actor Gong Yoo. Her agency states that the actress has had one meeting with the production team to discuss the role, and is reviewing the drama positively. Meanwhile, this drama is about a goblin, who needs a human bride in order to end his immortal life, and a grim reaper, who suffers from amnesia. They somehow end up meeting and living together, whether by fate or by a curse, and the drama follows the strange, mysterious, sad, but beautiful daily lives of those who see off the souls of the dead. “Goblin” will start airing in November on tvN.